Reception: Sunday, June 3, 2:00 – 4:00 p.m. In 1978, a small group of local women artists met together to form a chapter of the Women’s Caucus for Art. They were led by Moira Geoffrion, a professor of art at the University of Notre Dame, who described the IWCA as becoming “an energizing, networking, nurturing, and high-energy group, promoting regional women artists on a level that had not existed before.” Forty years later, IWCA is still providing opportunities and support to women in art. Two of our current members were part of that initial group, and several others have been active for almost four decades. For our 2018 anniversary year, we exhibiting work at the South Bend Museum of Art in celebration of our forty years as an active feminist art organization. This juried exhibition will feature paintings, photography and sculpture by the group’s current members. The Women’s Caucus for Art (WCA) is a national member organization unique in its multidisciplinary, multicultural membership of artists, art historians, students, educators and museum professionals. It was founded in 1972 in connection with the College Art Association (CAA). The mission of the Women’s Caucus for Art is to create community through art, education and social activism. WCA is committed to recognizing the contribution of women in the arts, providing women with leadership opportunities and professional development, expanding networking and exhibition opportunities for women, supporting local, national and global art activism and advocating for equity in the arts for all. The Indiana Women’s Caucus for Art (IWCA) is a local chapter of the WCA, founded in South Bend, Indiana, with the mission of creating and expanding opportunities and recognition for women in art. The IWCA provides ongoing support for members, including exhibitions, workshops, conferences, professional projects and activities. 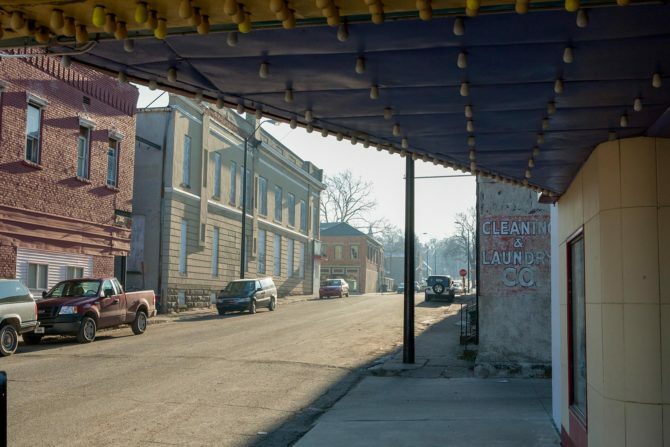 Images (Above): Kay Westhues, View from Devon Theatre, Attica, IN, archival pigment print, 17 x 11 inches. 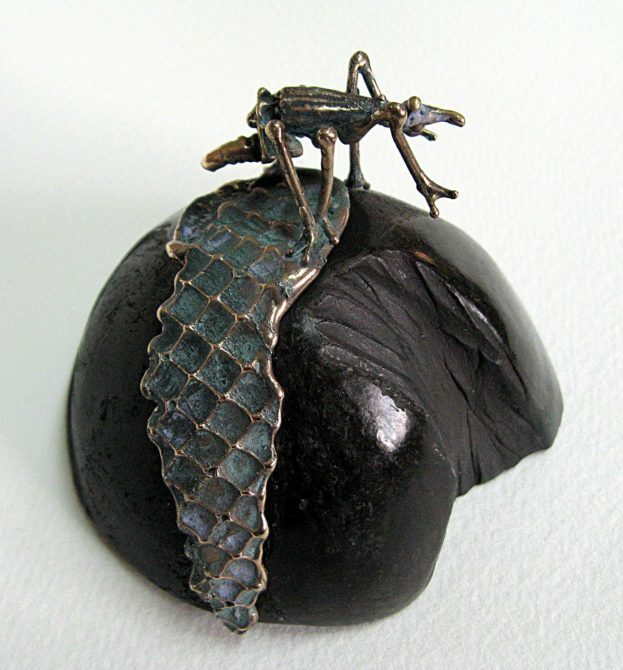 (Below) Judy Wenig Horswell, Poppy Bug (King of the Hill), bronze, sawdust fired clay, painted wood, 4 x 4 x 3 3/8 inches.